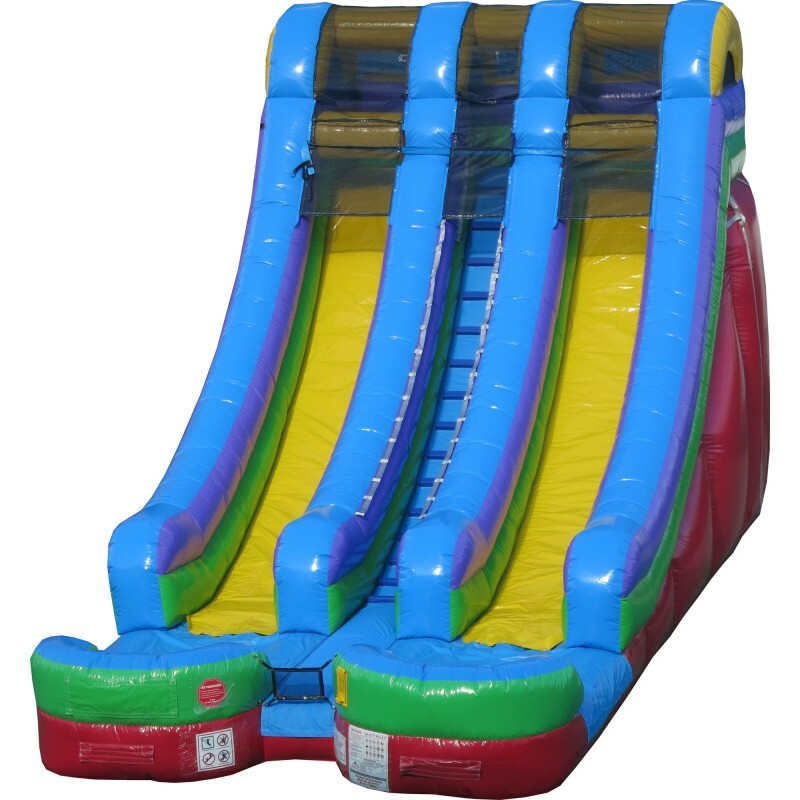 Your kids will have a blast on our 18 Foot Double Land Slide! 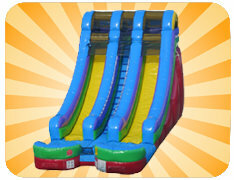 With the feature of duel lanes, you are able to keep the crowds under control with twice the slide capability! Our slide is 18 Feet tall by 13 feet wide, by 25 feet deep. For indoor set up we must have access to a double door near our delivery area to access the building. Children must be at least 2 years of age to play on inflatables. This slide can be set up on grass, a drive way, school black top, or inside a gym. A set up area of 19 feet wide by 30 feet deep by 21 feet high is required. A regular 15 amp circuit is equired with nothing else running on it. Normally, your back yard outlet will work fine! The slide must be plugged into the power source at all times during operation. For instances where power is not available, we have generators available for rental.